Boyd Elder and "American Fetish - RIP" painted and adorned skull, late 1970s. 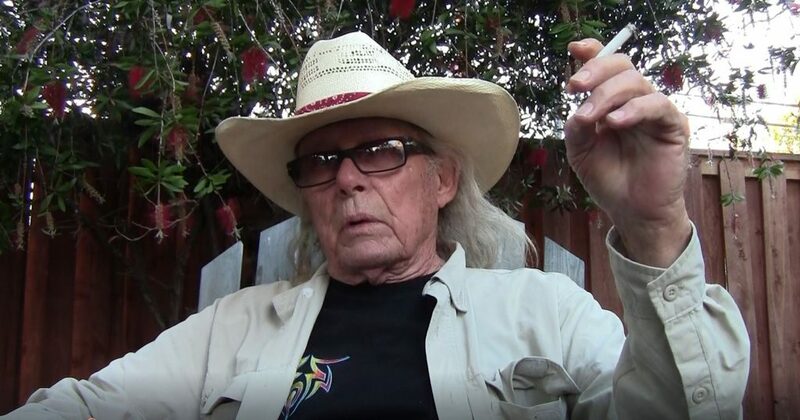 Legendary Texas multi-media fine artist and rock ’n’ roll “artlaw” Boyd Elder, who spent a lifetime expressing his artistic vision with often flagrant disregard for convention or consequences, died in San Marcos, Texas, just after daybreak on Saturday, Oct. 6. He was 74. Elder was a longtime resident of the tiny West Texas town of Valentine but adventuresome and always on the move. Just in 2018, he’d traveled to Los Angeles, Hawaii, San Francisco-Humboldt County, Italy, Santa Fe and all over Texas working on new art ventures, a book project, and visiting family and friends. Boyd Elder in a snakeskin shirt, awake at the wheel, 2015. For what turned out to be his final road trip, Elder had rented a battleship grey 2018 Dodge Hemi muscle car in El Paso. 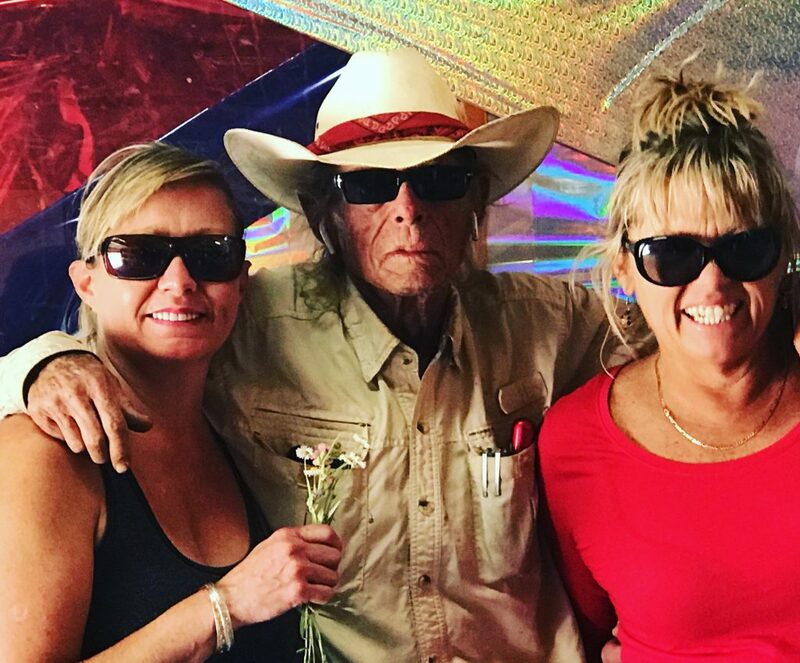 He arrived in Austin on Sept. 24 to spend a few days with Shaula Elder, the youngest of his two daughters (eldest daughter Flaunn and her family live in Kona, Hawaii). Elder left Austin on Thursday, Sept. 27. He was “at large somewhere in Texas,” Shaula said – and at some point, swapped rental cars for a chile pepper-red 2018 Dodge Challenger muscle car – until the early hours of Saturday, Sept. 29, when he rolled into San Marcos, just 30 miles south of Austin. Elder went to San Marcos to visit longtime friend and road trip sidekick John M. Thornton (among their wildest escapades was flying to Cuba in March 2016 to see The Rolling Stones’ “Havana Moon” concert). 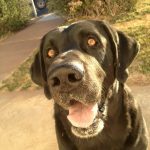 Thornton was with his best friend at the end at Central Texas Medical Center in San Marcos. Elder and his daughters had a chance to say a last goodbye via video phone call early Saturday morning, Oct. 6. He died at 6:11 a.m., the official cause of death listed as natural causes. 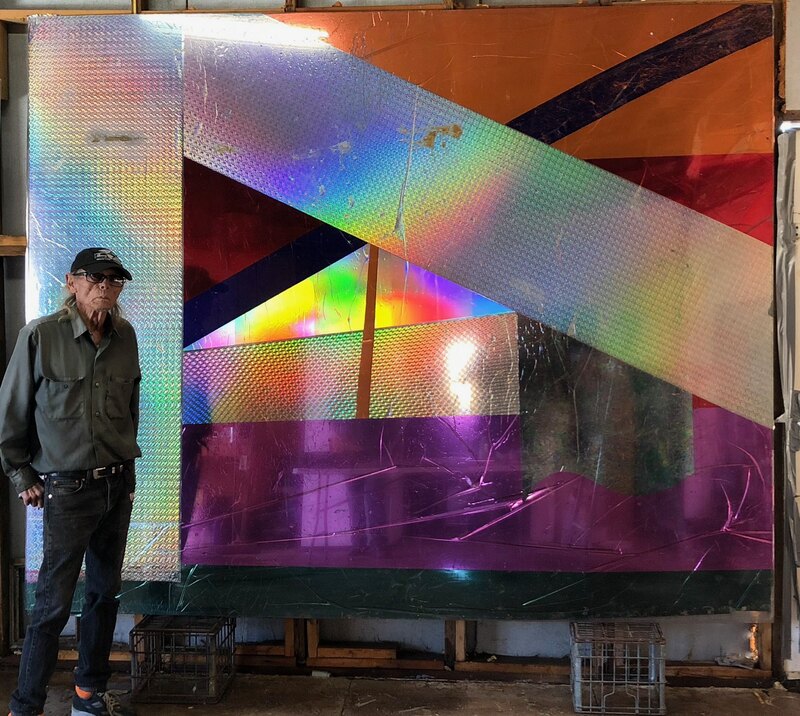 Shaula, Boyd and Flaunn Elder, with his last large-format artwork, Valentine, Texas, April 2018. Elder’s daughters’ sentiment is echoed by many, if not all, of those who knew their chain-smoking, hard-drinking dad and shared hair-raising adventures with him, along with fine cigars, food, art, music, intoxicating substances and wild tales – not necessarily in that order. 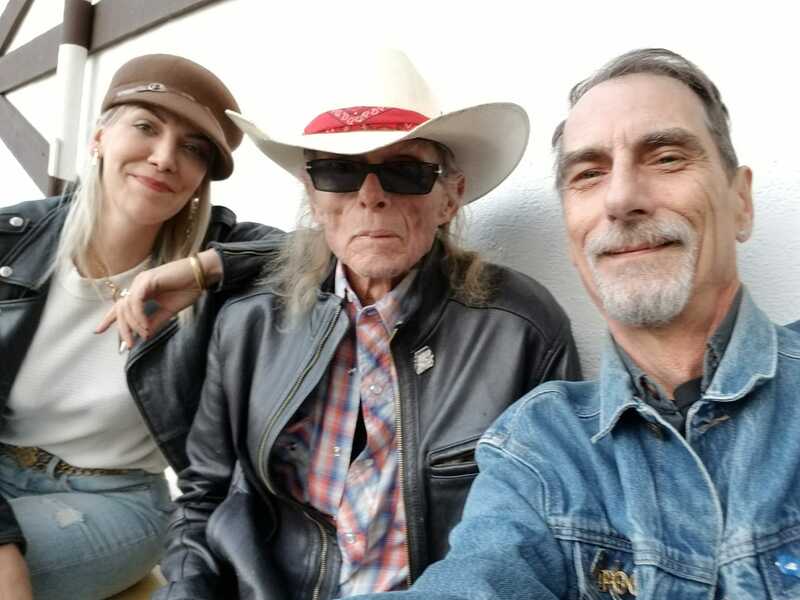 “He’s part gypsy, part rambler-gambler, desert rat, sophisti-hick and art connoisseur, and he seems to be everywhere at once,” Texas musician and longtime friend Joe Ely said in 2016. 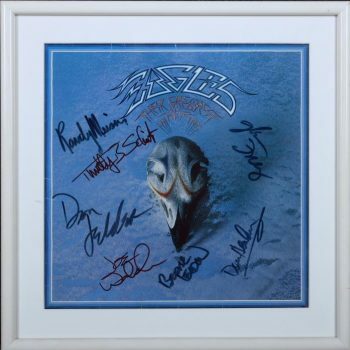 Publicly, Elder was best-known in the contemporary American art and music worlds as creator of the iconic painted-and-adorned animal skull art for the covers of Eagles’ “One of These Nights” and “Their Greatest Hits” albums in 1975 and 1976. The former album sold several million copies and the cover art earned a Grammy nomination, while the latter is now the best-selling album of all time in the United States (38 million copies as of August 2018, per the Recording Industry Association of America). Untold millions more Eagles fans who bought those albums around the world are likewise familiar with Boyd Elder’s skull art, even if they don’t know him by name, or know those pieces represent just a fraction of his creations spanning 60-plus years of chasing art. Elder’s other works range from experiments with plastics and resins, holographic foil and aluminum, and more recent large-format multi-media pieces. His art has been collected by some of the contemporary art and music world’s most diverse and reputable collectors. 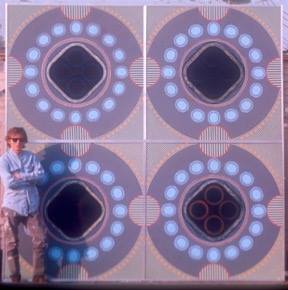 One of Elder’s 1970s creations, a set of discs 7½ feet in diameter titled “Corona,” hangs in the Psychology Department at Stanford University, purchased and donated by Elder patron Jerry Rosen. El Indio Blanco de Valentine. A self-described “artlaw” whose alias was “El Chingadero” (“The F**ker” in Tex-Mex slang), Boyd Elder had deep family and artistic roots in Valentine, Texas, a wide spot along U.S. 90 about 155 miles south of El Paso and 465 miles west of Austin. Valentine boasted 134 residents in the 2010 Census, down from 187 in 2000. Valentine, Texas, satellite view. Google Maps. works, which was built and operated by Boyd’s grandfather, Howard Laben Bell Sr. (Jan. 15, 1898-Aug. 27, 1956) and his son Howard L. Bell Jr. The elder Bell also constructed Valentine’s first schoolhouse. The Bells also set up and ran the area’s first phone system, with Boyd’s Great-Aunt Fannie wrangling the switchboard. 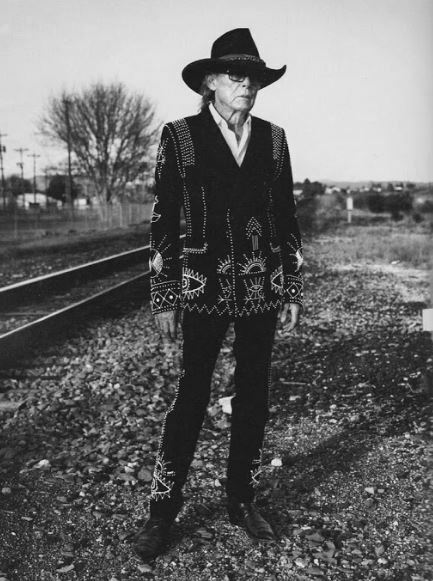 The West Texas desert was Boyd’s muse since boyhood, and after his countless escapades in far-flung locales, he invariably returned to Valentine to regenerate and create. Eventually, he would park his Ford pickup and Mercedes-Benz sedan there for good. 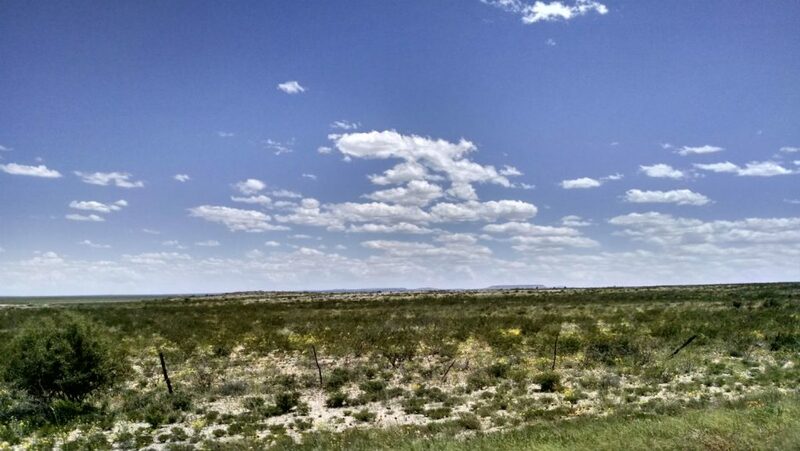 Miles and miles of West Texas, during a “100-year bloom,” Boyd Elder said. Photo: Stephen K. Peeples, April 2015. He was born Harold Boyd Elder at Southwestern General Hospital in El Paso on Jan. 12, 1944, to Hal Elder of Bogota, Texas, and Billye Lee Bell Elder of Valentine. Hal was an artist, leather worker, car collector and mechanic, tennis player, wanna-be golfer, and actor (the banjo-picking professional gong-ee on “The Gong Show” in the late ’70s). Billye had been a public-school special education and physical education teacher with the El Paso Independent School District for 38 years when she retired. 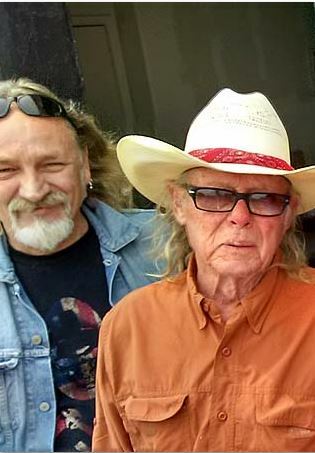 Boyd’s brothers Kenneth Mack Elder and Howard Stanton Elder were born at the same hospital on Sept. 13, 1946, and Sept. 1, 1951, respectively (Mack lived in Ruidoso, New Mexico for many years but now resides on the family’s land in Valentine; Howard died Dec. 16, 2017). Boyd once described himself as an artistic child, “cursed with the blessing” of a vivid imagination. He grew up in El P, but he and his brothers spent as much time as they could in Valentine on the Bell family ranch, including many weekends and holidays and every summer. Howard L. Bell Jr. would wrangle the three Elder brothers when they visited – as best he could. Even then, Boyd was the wildest of the bunch. 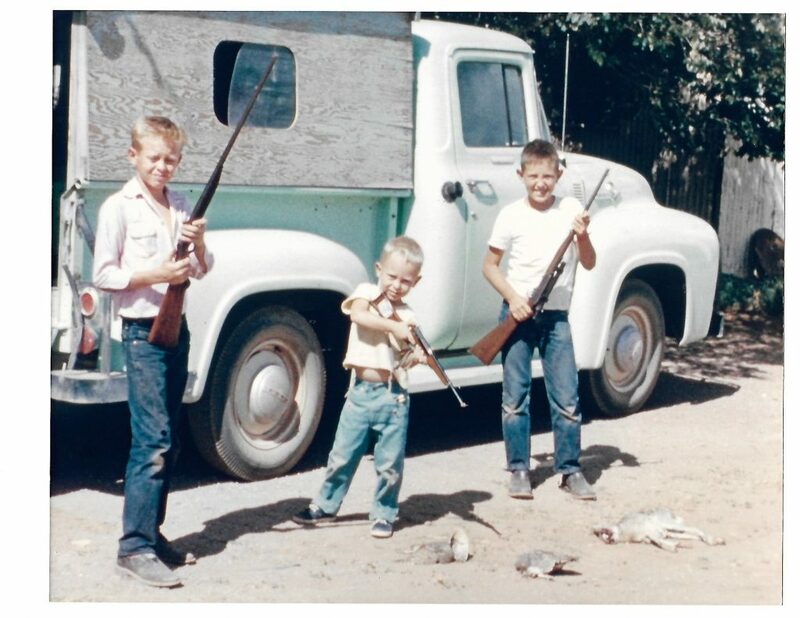 After a rabbit hunt, Boyd, Howard and Mack Elder posed in front of Uncle Buck’s pickup, Valentine, summer 1956. “Boyd had a single-shot 410, I had a .22 LR semi-auto with scope, and Howard was holding a cork gun,” Mack said in October 2018. “Boyd had that quality that once you met him, you would not forget him.” Photo: Courtesy Boyd Elder Estate. Elder attended and studied art at El Paso’s Burges High School, then played hooky for a few months in his junior year on a road trip with friends to Louisiana. Upon returning, he was sent to El Paso Tech (“Where all the kids who got thrown out of all the other high schools went,” Mack said). Outside the classroom, Elder studied at the El Paso Museum of Art with noted local artists including Jan Herring and Wiltz Harrison. He also continued experimenting with other non-classical mediums and techniques, including pin-striping hot rods and motorcycles belonging to friends on the local gearhead scene (among them Billy Gibbons, the future Rev. Billy F. Gibbons of ZZ Top). High school hijinks notwithstanding, Elder won numerous art awards, then a partial scholarship from the Texas Art Association. In 1963 he was accepted at both ArtCenter Los Angeles and the Disney-affiliated Chouinard Art Institute in downtown L.A. (Chouinard later merged with California Institute of the Arts, located in Valencia about 35 miles north of Hollywood). On full-tuition scholarships at Chouinard, Elder studied with co-founder Robert Graham and Phil Lieder on the way to graduation with a Bachelor of Fine Arts degree in 1968. 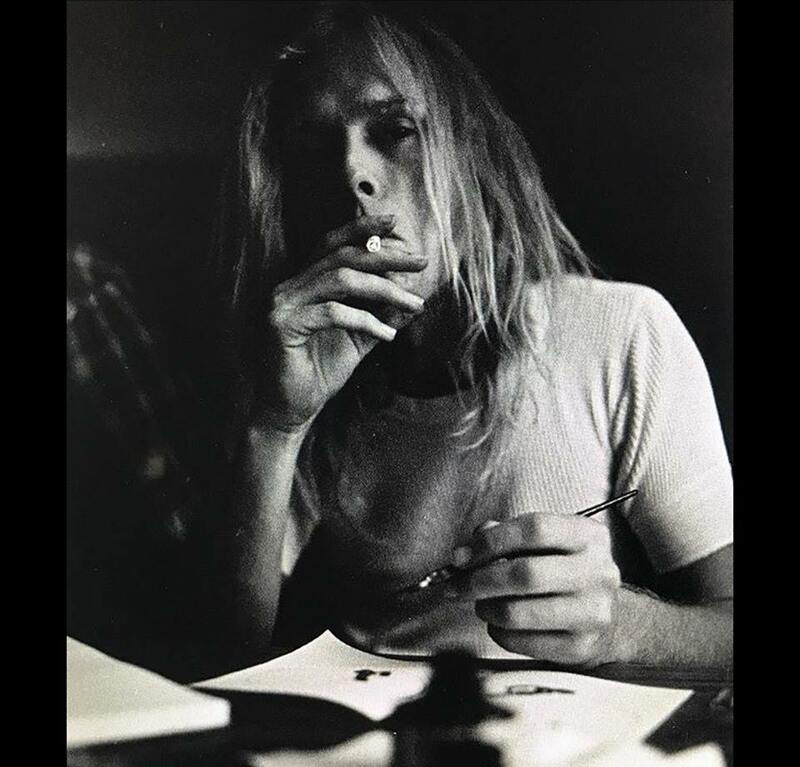 While at Chouinard, Elder earned the admiration and respect of peers on the exploding 1960s California-Texas art and rock scenes, among them Ed Ruscha, Kenny Price, Larry Bell, Billy Al Binkston, Craig Koffman and Doug Wheeler. In those heady years, Elder’s friends and supporters in Hollywood-Laurel Canyon-Venice-Topanga-Malibu also included fellow Texans Bobby Fuller (who helped Elder build his first studio in L.A.; Elder was convinced his patron’s death in 1966 was murder), Joe Ely, Terry Allen and Don Henley, Joni Mitchell, Jackson Browne, Glenn Frey, Neil Young, “Mama” Cass Elliot, Henry Diltz, Ron Jacobs, Dewey Bunnell, Darryl Hannah, Dr. Marvin Kolpock, Russ Kunkel, Kay Lenz, Jan-Michael Vincent, Elliott Roberts, Stephen Stills and Ron Stone. At Chouinard, Elder met kindred spirit Rick Griffin, and Luann Darling Finlayson, then Assistant to the Dean. After he graduated, the couple moved back to Texas, where they lived in a studio in a converted water tank on Idalia Street in El Paso. It was once artist Wiltz Harrison’s studio; he rented it to the Elders, who welcomed first daughter Flaunn on Oct. 25, 1968 (her Godmother is Joni Mitchell). 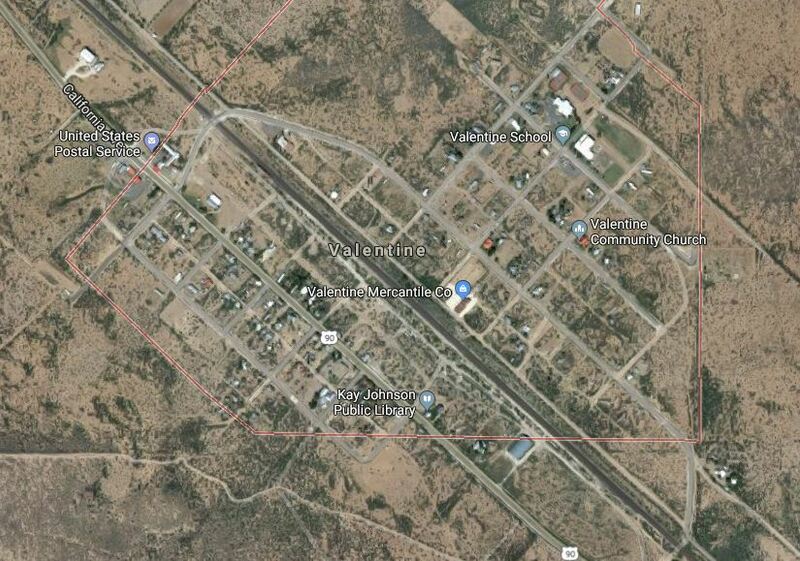 The Elders moved to Valentine; Luann gave birth to Shaula in nearby Marfa on June 10, 1971 (her Godmother is Sandy Sussman, one of her dad’s Chouinard contemporaries). 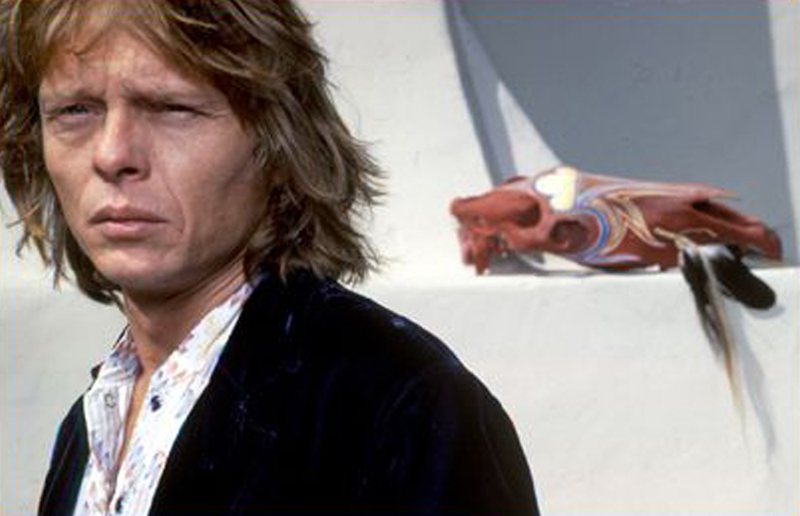 In 1979, Boyd and Luann eventually moved to Kona, Hawaii, where their contentious relationship ended in 1981. They shared custody of the girls, who grew up with their mother in Hawaii and visited their father on the Mainland each summer for road trips and adventures. In turn, he’d visit the Big Island each year to escape the bitter cold of West Texas winters. Just before Christmas 1971, “Rick Griffin sent me a present packed in an apple crate and lettered ‘To Boyd’ in olde English, and inside was the breastbone of a Thanksgiving turkey he’d scalloped and pinstriped,” Elder told me in 1978. Boyd Elder and painted turkey breast from Rick Griffin. Photo by Randy Nauert. 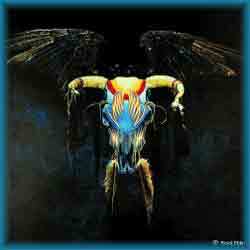 “This inspired the painted skull series used on (the) Eagles album covers,” he wrote in a note to mutual friend Randy Nauert just a few years ago. Elder also drew inspiration from a Native American ceremony he’d studied. 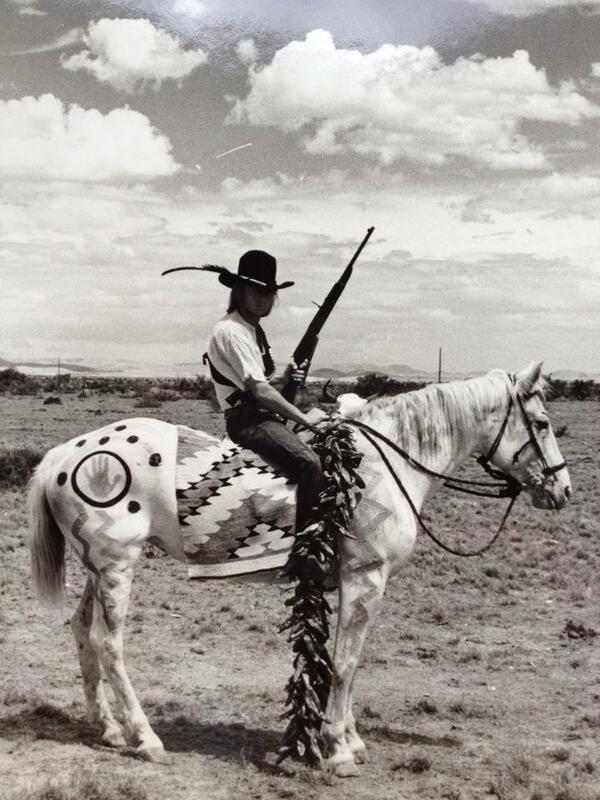 With animal skulls given to him by local rancher friends, Elder began experimenting with air-brush painting, pin-striping and adding beads, feathers and other symbolic adornments. 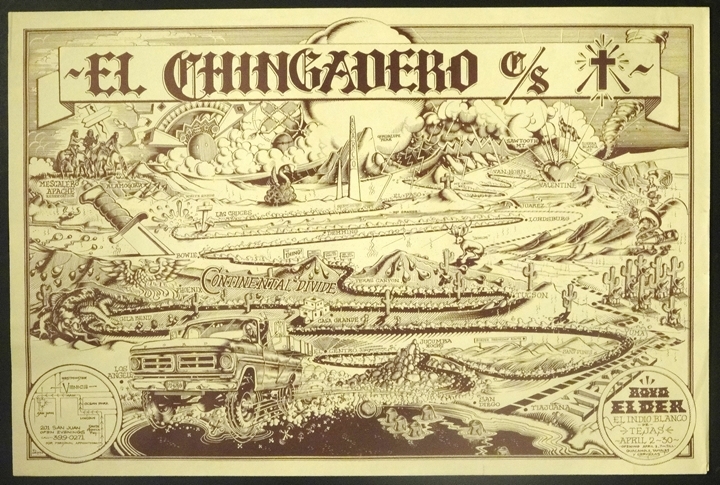 Just four months after receiving Griffin’s gift, Elder unveiled his first “American Fetish – RIP” pieces at the infamous “El Chingadero” art exhibit in Venice, California, in April 1972. At the gallery’s opening reception that Easter Sunday, April 2, his friends Glenn Frey, Don Henley, Randy Meisner and Bernie Leadon performed together for the first time as Eagles in public. They played acoustic guitars and sang songs from their not-yet-released debut album, surrounded by other friends including Jackson Browne, Joni Mitchell, “Mama” Cass Elliott, Ned Doheny, David Geffen, and Henry Diltz, who shot stills and Super-8 film at the event. 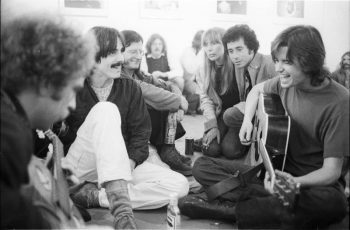 Dubbed “The Best Rock Party Ever” by the Village Voice in New York City, the “Chingadero Show” was the most historic of the more than 40 art exhibits Elder staged coast to coast during his career (his first in L.A. was “Newcomers 1967”). Elder suffered a huge setback personally and artistically on May 31, 1973, when a mysterious fire destroyed the Bell Motor Company garage and store in Valentine, an authorized Ford repair shop run for decades by Howard Bell Sr. and Howard Bell Jr. The garage housed many Bell and Elder family artifacts including a homemade biplane and a Maserati 3500 Superleggera the family was restoring. The garage was also where Boyd kept nearly all his artwork to date. Fueled by more than 60 years of oil, gas and solvents soaked into the garage’s concrete slab floor, it all went up in a spectacular blaze. “It could have been an electrical short…arson…a chemical explosion,” Elder said in 2016. “Huge loss.” Mack wasn’t there but remains convinced to this day his older brother was somehow responsible. From those ashes, Boyd rose Phoenix-style. In the next couple of years, with his photo on the back cover of an Eagles album (“Desperado”) and his “American Fetish – RIP” skull art on the front covers of two more, his future looked more incandescent than ever. 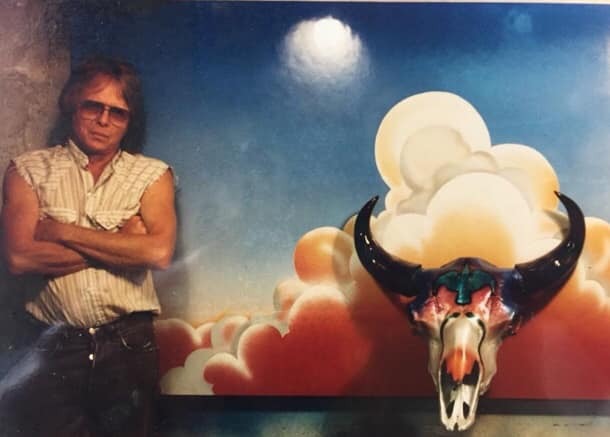 Boyd Elder and “American Fetish – RIP” skull and canvas, 1970s. Photo: Courtesy Boyd Elder Estate. 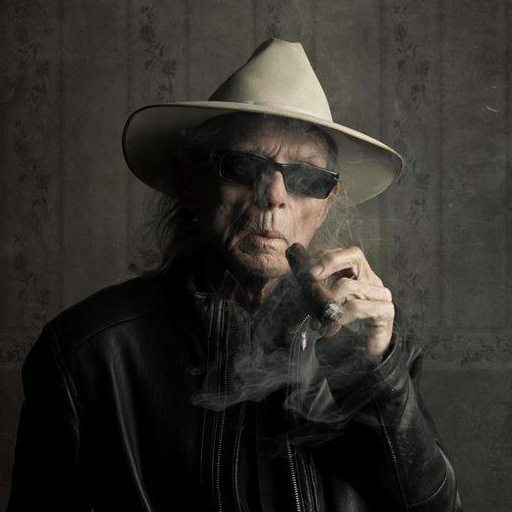 Often imitated but never duplicated, Elder’s “American Fetish – RIP” creations are widely recognized as symbols of the Southwestern art-rock continuum, but their notoriety also overshadowed his other creations for the rest of his life. 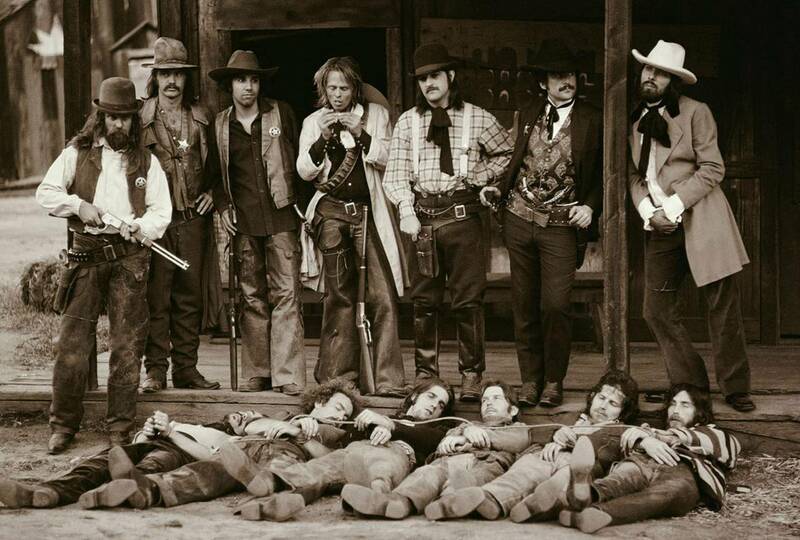 And while rock ’n’ roll accolades were great – they opened many doors (he could hustle his way backstage anywhere, anytime), led to lasting friendships, fueled his chosen rock ’n’ roll hipster-cowboy lifestyle – they did not satisfy Elder’s tandem quest for recognition and respect as a fine artist. He considered the “American Fetish – RIP” pieces valid fine art but thought that because a couple of them appeared on album covers, the series wasn’t taken seriously in the fine art world. He tried to counter that perception with a burst of adorned skulls mounted on painted canvas backgrounds, to drive home the relationship between his skull art and contemporary fine art. 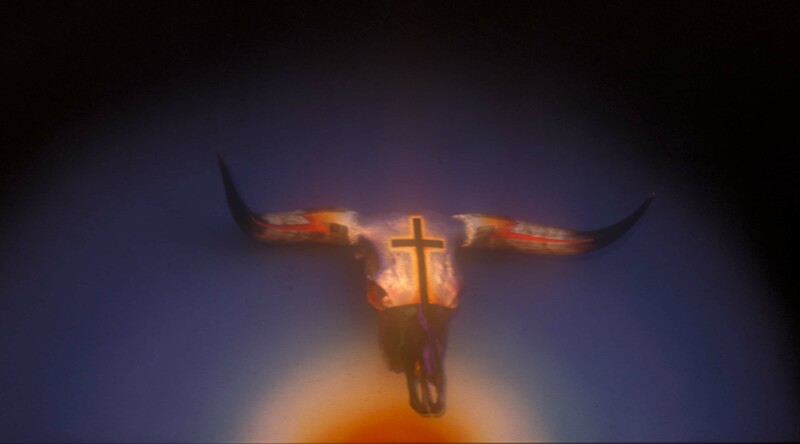 “Murderer” painted and adorned bull skull mounted on canvas by Texas artist Boyd Elder. The canvas backgrounds were mysteriously lost en route to an art exhibit in Brazil in the ’90s, but the skulls miraculously found their way back to Elder just a few years ago – another incredible but true story. 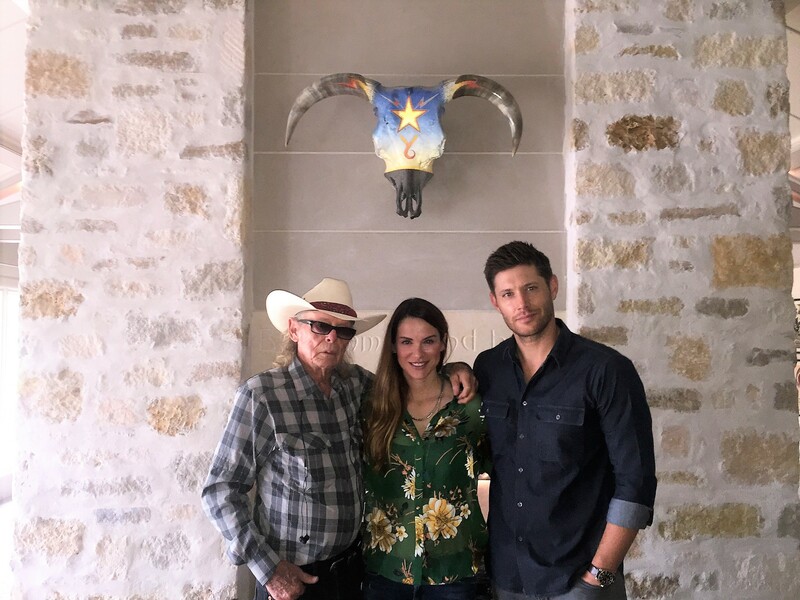 And there was a happy ending for “Y6 Sunrise.” The West Texas Hereford bull skull was purchased in 2017 by Jensen Ackles, co-star of the “Supernatural” TV series and collector of Texas art, and his wife Danneel, for display in their home near Austin. Boyd Elder, Danneel Ackles and Jensen Ackles hang with ‘Y6 Sunrise’ at the couple’s home near Austin, Texas. Photo: Bale Creek Allen. Long before he died, Elder’s legend loomed large among his mentors, peers and friends, and younger fans attuned to the rich history of the Texas-California-Colorado-Hawaii art and music scenes of the ’60s and ’70s. Boyd Elder may not have coined the term “artlaw,” but he defined it. Boyd Elder, Marfa, Texas, 2016. Photo: Ben Weller for Italian Vogue, Courtesy Boyd Elder Estate. 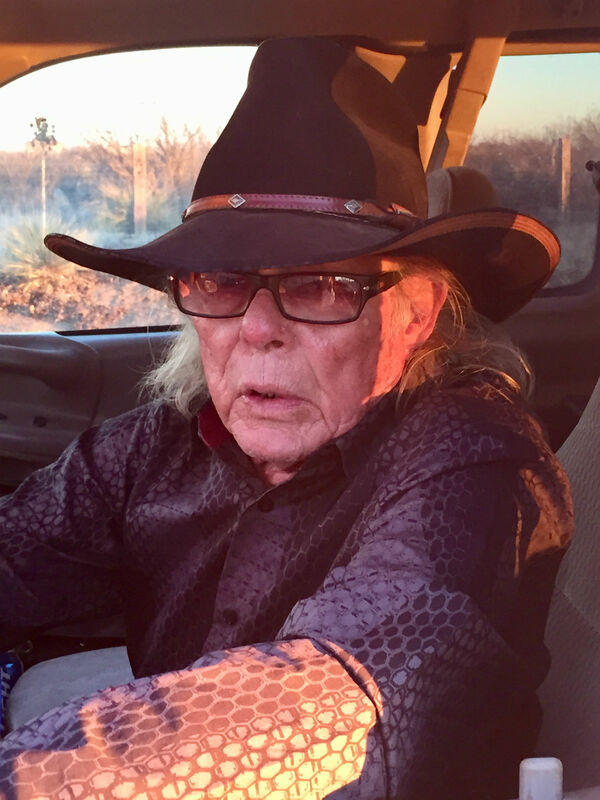 In the last few decades, Elder had become an instigator and icon on the celebrated contemporary art scene in Marfa, 34 miles south of Valentine on U.S. 90. 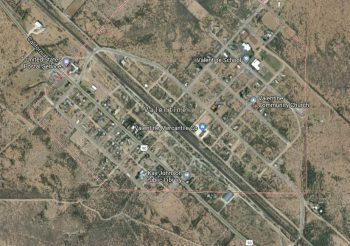 The desert town (population 1,981 in the 2010 Census) is famed for the mysterious Marfa Lights and as the location for the movie “Giant” starring Elizabeth Taylor, Rock Hudson and James Dean in 1955. Elder and renowned minimalist artist-designer-writer Donald Judd were friends and confidants in Marfa in the early 1970s, when Judd established the Chinati Foundation there, until Judd’s death in February 1994. 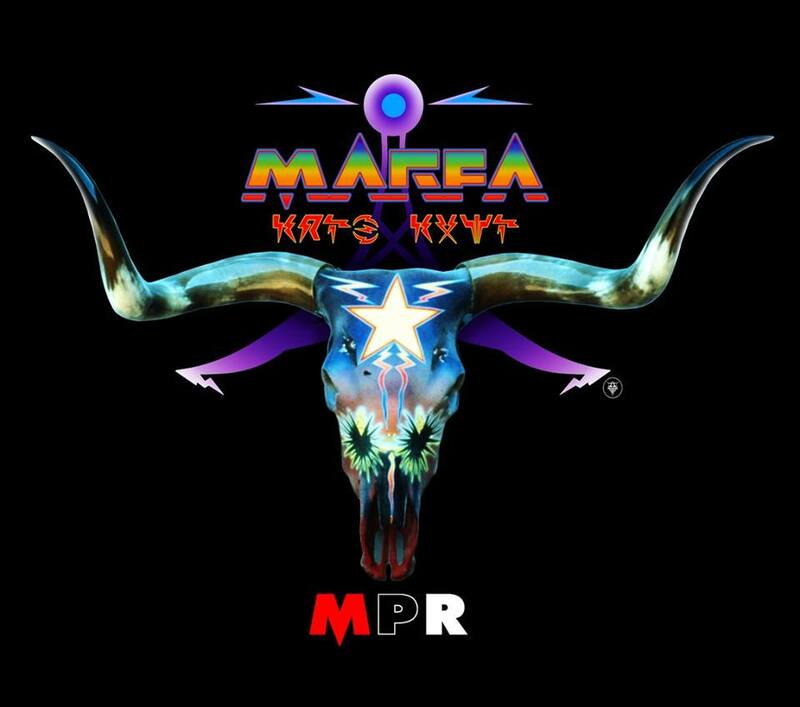 The original Marfa Public Radio t-shirt design created by Boyd Elder, 2018. The final t-shirt design was cool, but a compromise because the t-shirt maker could not properly reproduce the original. As a stoker of Judd’s artistic flame in the community, Elder most recently created a skull-art T-shirt design for Marfa Public Radio, where he was a semi-regular drop-in guest. 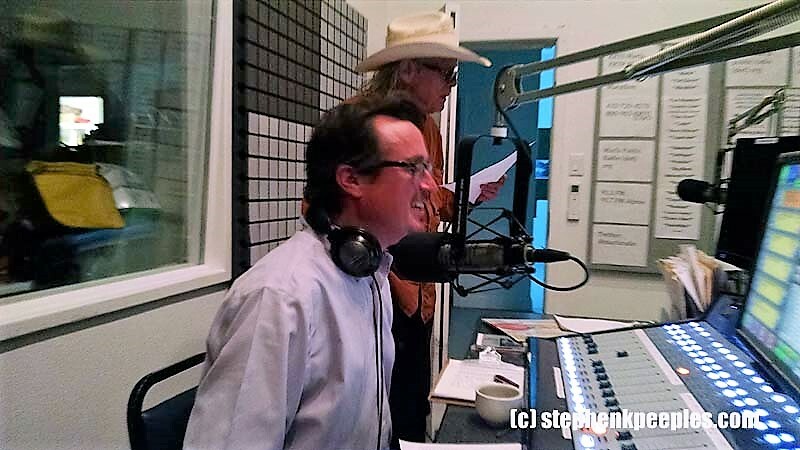 Boyd Elder reads the weather as his friend David Beebe, Presidio County Justice of the Peace, Boyz2Men Taco Trailer Head Cook and Marfa Public Radio DJ runs the board, April 2015. 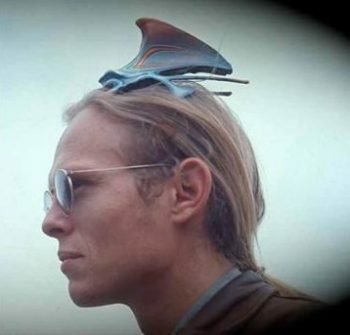 Sometimes he’d deliver the weather report on the air calling in from Valentine or from the Prada Marfa art installation on U.S. 90 a mile and a half north of his roadside studio. 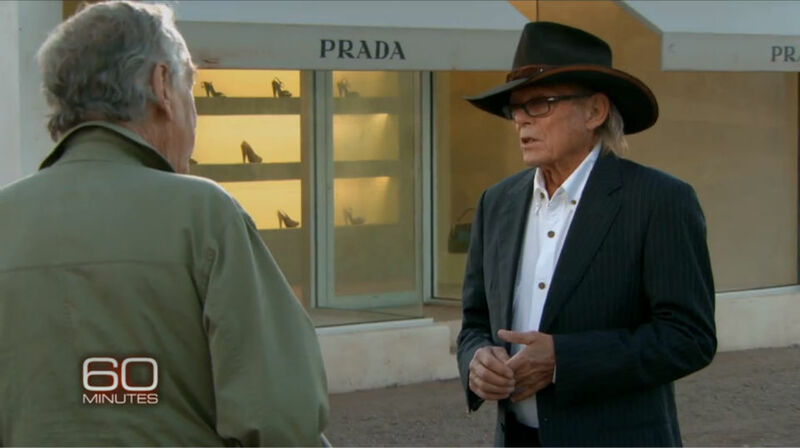 Boyd Elder talks with Morley Safer about Prada Marfa for a “CBS 60 Minutes” segment that aired April 12, 2013. Willie Nelson and Boyd Elder swap tall tales backstage. Photo: Courtesy Boyd Elder Estate. site representative and guardian since its opening on Oct. 1, 2005, a role he found simultaneously hilarious and maddening. He told Morley Safer all about it for a “CBS 60 Minutes” segment that aired April 12, 2013. 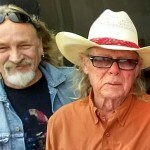 “Boyd was all over, backstage in Austin (as) frequently as I ever was,” said Joe Nick Patoski, noted Texas music journalist, author, historian, film producer and host of the “Texas Music Hour of Power” Saturdays on Marfa Public Radio. 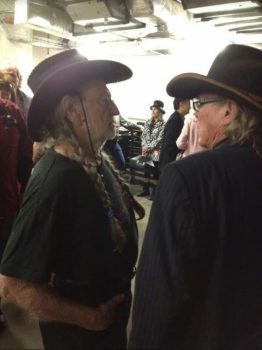 Joe Nick Patoski and Boyd Elder at the ‘Armadillo Rising’ event at the Wittliff Collections, Albert B. Alkek Library, Texas State University, San Marcos, Texas, April 2015. Along with “60 Minutes,” Elder’s art and/or exploits have been featured in countless media outlets including NPR, Rocky Mountain Musical Express, Texas Highways and Texas Monthly. Boyd Elder with an untitled large-format piece created using holographic foil applied to polycarbonate plastic. Valentine, Texas, Jan. 2018. For more than a year, Elder had been developing a career-spanning coffee-table art book and accompanying video documentary, collaborating with longtime journalist friend and biographer Stephen K. Peeples and co-writing/creative team Corey “Duncan” Stewart and Tamara Deike. Elder had recently rounded up noted contemporary art critic and “Air Guitar: Essays on Art & Democracy” author Dave Hickey to write the foreword and Patoski and Thornton to contribute essays. John Thornton and Boyd Elder, San Marcos, April 2015. Photo: Stephen K. Peeples. Having secured an agreement with a top literary agent credited with multiple New York Times best-sellers, the collaborators were planning to meet in Valentine the week of Oct. 15 to work on further interviews and image preparation. Now, with the help of Elder’s family, the “Artlaw: Boyd Elder” project will be completed in 2019 as the ultimate homage to the man and his art. Tamara Deike, Boyd Elder, Stephen K. Peeples. Los Angeles, Feb. 24, 2018. Elder was preceded in death by his father Hal Elder (March 22, 1914-Feb. 3, 2003), mother Billye Lee Bell Elder (April 12, 1919-Jan. 15, 2015) and youngest brother Howard Stanton Elder (Sept. 1, 1951-Dec. 16, 2017). He is survived by middle brother Kenneth Mack Elder of Ruidoso, New Mexico and Valentine and Mack’s son Soren Thompson of Ruidoso; eldest daughter Flaunn Elder Jamieson, her husband Ben Jamieson and their sons Lakoda Kai Jamieson and Rhyder Nalu Jamieson of Kona, Hawaii; and Shaula Elder of Austin. 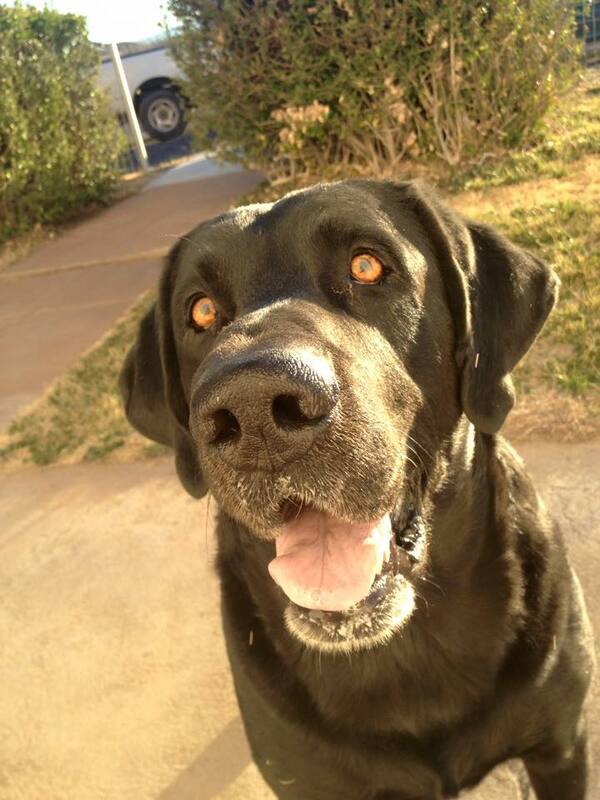 He is also survived by his faithful black Labrador Retriever, Sombra de la Muerta (Shadow of Death). 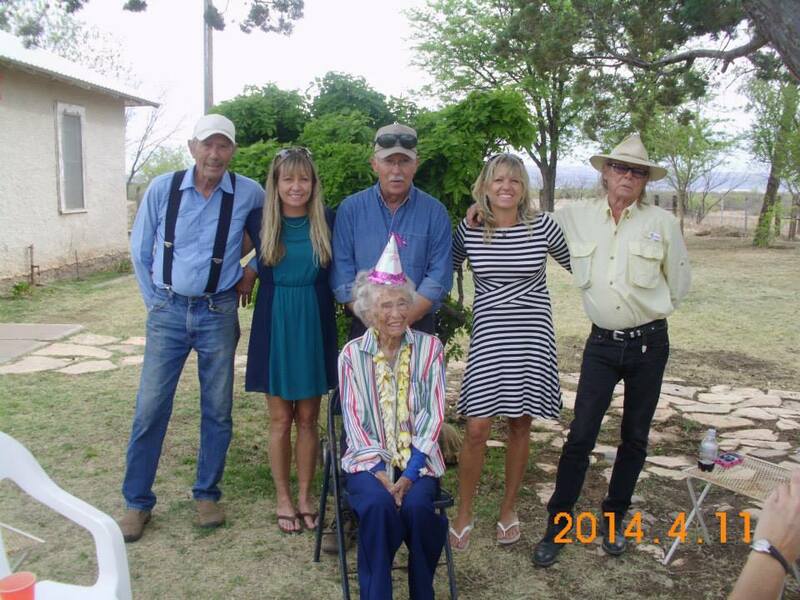 Mack, Shaula, Howard, Flaunn and Boyd Elder celebrating Billye’s 95th birthday, April 2014. “There will be no public service, no churchy BS – that’s not my dad,” Shaula Elder said. Boyd Elder 2017 portrait by Barbara FG. Elder’s daughters plan to throw a few major celebrations of his artlaw life. The first celebration is set for The Capri in Marfa on Saturday, Nov. 3, from 2 p.m. to 6 p.m. on the venue side. Coincidentally, but perfectly, the Capri’s exhibit side will feature artworks commemorating “El Dia de Los Muertos,” the Mexican celebration for departed loved ones. Flaunn and Shaula will host the affair. Mack said he and Sombra would stop by for a while. A second celebration will rock Justine’s Brasserie in Austin in mid-January, around what would be Elder’s 75th birthday on Jan. 12. 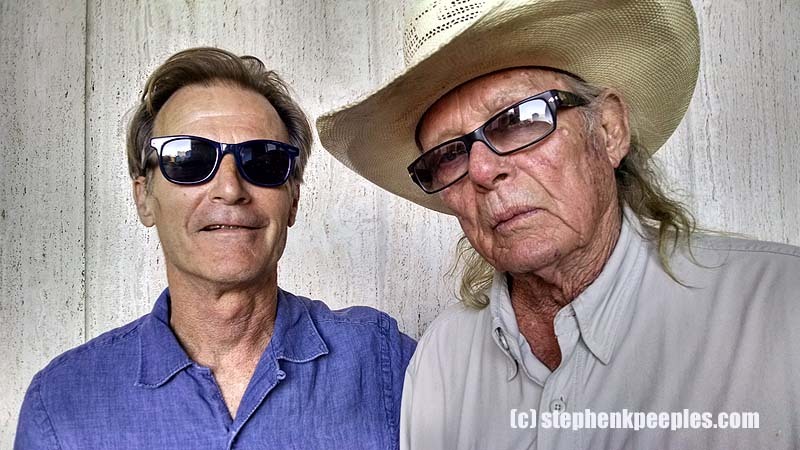 The Chinati Foundation contemporary art center in Marfa (established by Donald Judd) also has a Boyd Elder bash in the works for 2019. Details for those and a special event in L.A. in February will be announced soon. – By Stephen K. Peeples, with much-appreciated assistance from Flaunn Elder-Jamieson, Shaula Elder, Mack Elder, John M. Thornton, Joe Ely, Joe Nick Patoski, Tamara Deike and Corey “Duncan” Stewart. 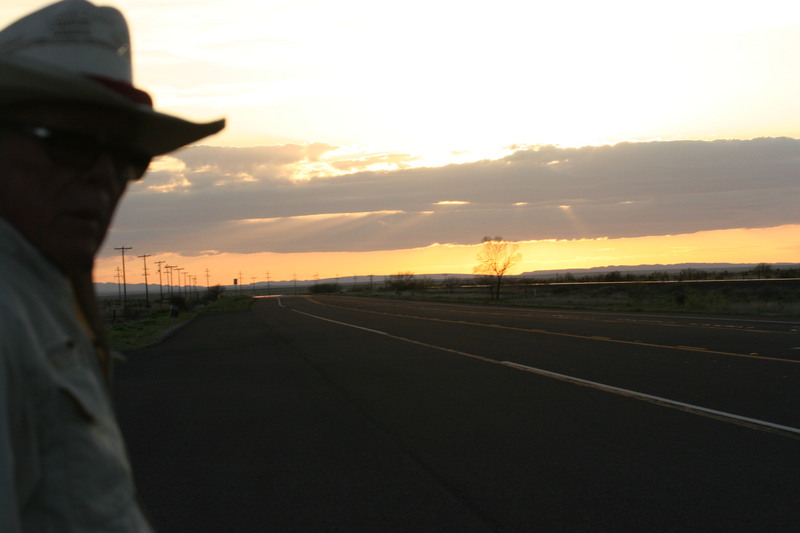 Bad West Texas sunset selfie by Boyd Elder, April 2015. AMF.